Greg Owen is a native of Morristown, TN. He is a graduate of East Tennessee State University where he earned a BA in Speech Communications and a Minor in Marketing. In addition he has a graduate degree from Southeaster Theological Seminary. Greg has traveled extensively across the US and internationally- including Canada, Mexico, Germany, Japan, South Korea, and China. He enjoys reading, movies, working on his farm, and spending time with family and friends. 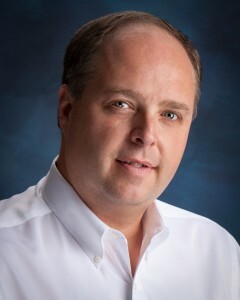 Greg joined the On Trac team after seven years as a professional in the Automotive Quality industry. His initial role for On Trac was in Project Management. He served in some leadership capacity in all system locations including an interim as Startup Project Manager for Auburn System Operations and, more extensively, as Project Manager for the Clarksville System Operations. During his service through the system operations, Greg proactively designed data/computer systems for efficient tracking and organizing of operations information. In 2009, Greg was recruited back to Morristown to assume the role of Information Systems Manager for the company. Greg currently serves in similar capacities with addition of data management and is charged with designing/implementing systems to enhance the overall utility, performance, and reliability of the corporate Information Systems in sync with our multiple operation locations.